Priyanka took Congress workers at an event in Amethi by surprise when she asked them if they were preparing for the 2022 assembly elections. 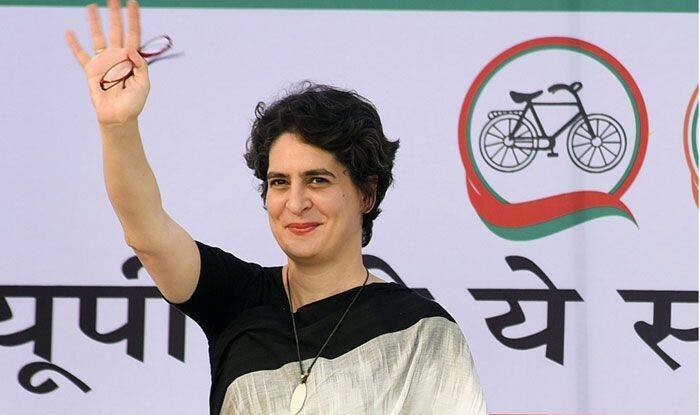 Congress General Secretary Priyanka Gandhi Vadra on Thursday revealed she was eyeing the 2022 assembly elections in Uttar Pradesh much more than the 2019 general elections just weeks ahead of the first phase of polling. “Are you preparing for elections… I am not talking about 2019, but 2022,” she asked a worker who was greeting her at the function organised by the Congress cadre in the Gandhi bastion of Amethi, where Priyanka was on her day-long visit during her three-day programme in the state. “She hasn’t been sent here for four months, she has been sent here with a larger plan… We will not only defeat BJP in 2019 but also win 2022 elections,” Rahul Gandhi had told reporters here on January 23. Her comments on Thursday was yet another disclosure of the party’s plan in the state. Meanwhile, on Wednesday, Priyanka reached Amethi during the second leg of her campaign and held a marathon 11-hour meeting with party workers at the college campus. She first held the meeting for over five and a half hours and then returned for another round of meeting which lasted for over four hours. She held discussions with the party’s booth workers till 12.30 a.m.
Later on Thursday, she is scheduled to meet the workers and leaders of her mother’s constituency, Rae Bareli.